Desch Plantpak produces thermoform pots and containers, transport trays, marketing trays, seed trays, propagation trays and bedding plant packs for professional horticulturalists. By working together with growers Desch Plantpak formulates inventive, customer-orientated solutions that can simplify business processes or improve automation processes. All activities and innovations are targeted at improving the growers’ production results and optimizing returns. 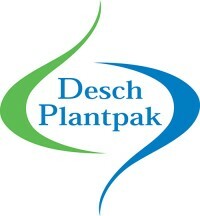 We do that anywhere in the world because Desch Plantpak is there for the global horticultural sector. Apart from thermoform products, Desch Plantpak also holds a range of injection molded decorative pots, hanging pots, bowls and accessories, better known under the name EPLA range. Desch Plantpak products are made from PP (polypropylene), PS (polystyrene), PET (poly-ester) or biopolymers. With multiple production sites and dealerships and customers in around sixty countries, Desch Plantpak is a real global player. Product improvement plays a continuous and important role in this. As well as this, all products are manufactured in an environmentally responsible way. Desch Plantpak endorses the Packaging Covenant III which contains agreements relating to combating litter and reducing the burden on the environment from packaging. Desch Plantpak is a dynamic and innovative enterprise and this is reflected throughout the company’s structure. Concepts such as innovation, service and reliability completely endorse this vision. That’s why Desch Plantpak’s ambitions say: Growing together with the grower!